The Japanese drugmaker’s fifth proposal for its Irish rival sweetens the bid to some $64 bln. The headline value, which uses a huge pile of stock for currency, is falling fast as Takeda shareholders recoil. That creates an opening for other suitors who can offer more hard cash. 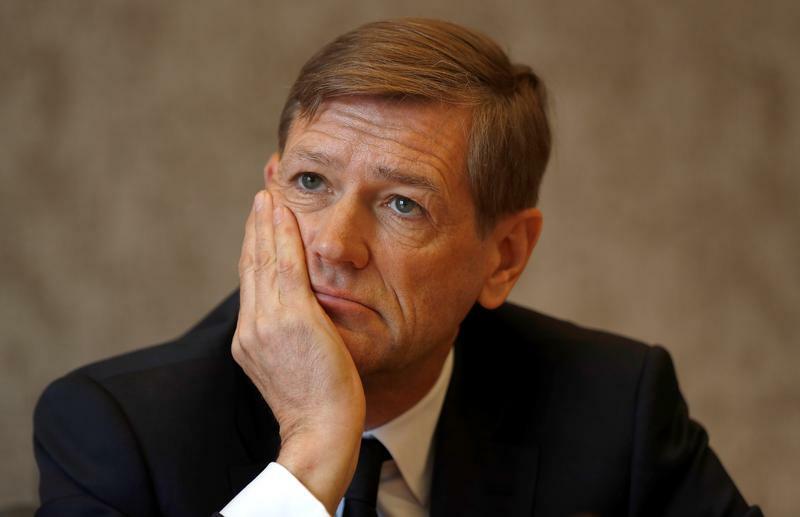 Irish drugmaker Shire said on April 24 its board was willing in principle to recommend to shareholders a sweetened 46 billion-pound ($64 billion) acquisition offer from rival Takeda Pharmaceutical. Under terms of its fifth proposal, the Japanese company would offer 0.839 of its shares and 21.75 pounds in cash for each ordinary Shire share, or about 49 pounds apiece. Shire shareholders would own about 50 percent of the enlarged group and new Takeda shares would be listed in Japan and in the United States using a new American Depositary Receipt programme. Shire agreed to extend a regulatory deadline for deal talks until May 8, to allow Takeda to carry out more due diligence and firm up its bid.